- Measures: Width: 168 cm Depth: 070 cm Height: 252 cm Weight: 820 kg - 2 year guarantee! - Free Shipping! 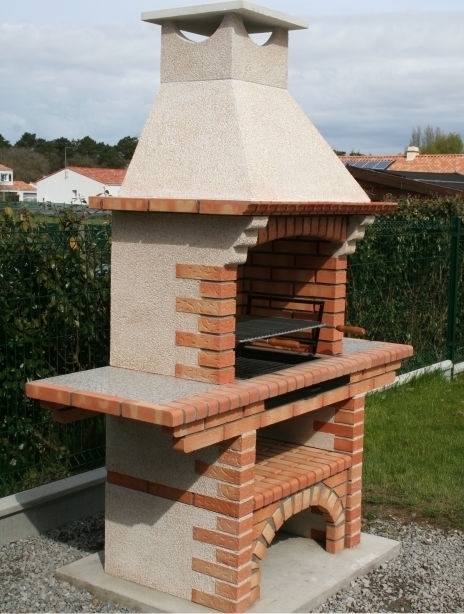 Portuguese Brick BBQ CE2060G. Free shipping to England, metropolitan France*, Monaco, Belgium, Luxembourg, Italy and Spain. For other destinations please contact us. "Pompano with Tropical Barbecue Glaze"
Combine first 9 ingredients and 1/4 teaspoon salt in a small saucepan; bring to a boil. Reduce heat, and simmer 18 minutes or until thick, stirring often. Sprinkle fish with 1/2 teaspoon salt and pepper; place on grill rack or broiler pan coated with cooking spray, skin side up. Cook 5 minutes. Turn fish; brush with sauce. Cook 4 minutes or until fish flakes.